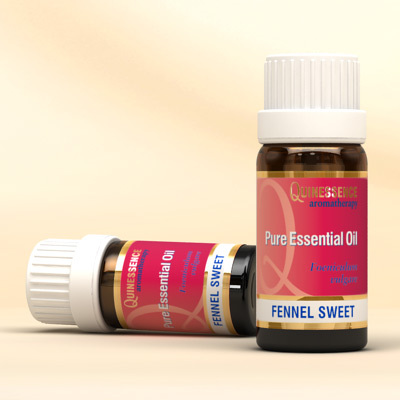 Fennel Sweet Essential Oil has a powerful cleansing and stimulating action that tones the spleen, kidneys and liver, which is why aromatherapists use it in lymphatic drainage massage to detoxify and tone. Together with cypress and juniper berry, it is one of the finest essential oils for treating cellulite. Distilled from the crushed seeds of the herb, Sweet Fennel Oil is also stimulating to the lymphatic, cardiovascular and respiratory systems, and when used in skincare it has a soothing, cleansing and toning effect that can be beneficial for mature complexions. On the emotional system it promotes courage and strength in the face of adversity.